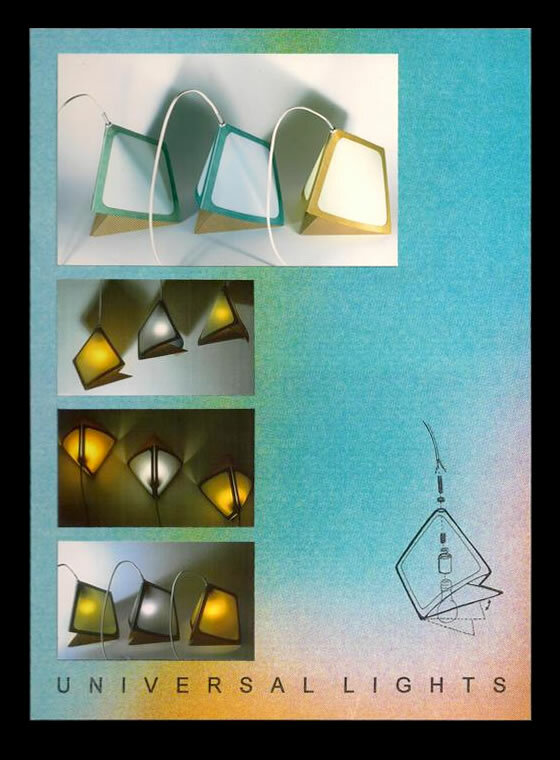 These low watt ambient lighting fixtures are designed to be used in three different configurations, as a wall sconce, a table top lamp, or hanging pendant. This idea stems from the concept of making products more universal and adaptable to a given environment. The design was developed through experimenting with the art and craft of origami. They are a collapsible design made of recycled paper board and a corn by-product making them an eco-freindly design.